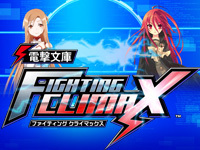 Dengeki Bunko FIGHTING CLIMAX second update adds two playable characters and two support characters. Yukina Himeragi from Strike the Blood and Rentaro Satomi from Black Bullet are playable. Kojou Akatsuki from Strike the Blood and Aihara Enju from Black Bullet join the supporting characters. You'll find the characters presentation movie here. The popularity of the horse racing betting/management game from Sega does not weaken with age. 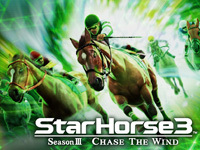 The third update, StarHorse 3 Season III - Chase the Wind, is released 3 years after the original version. The new "Masters Cup" offers a new challenge for the most experienced players while all players can enjoy the pleasures of exploration with the "Team Quest" mode. Between races, they can now spend some relaxing time on the new Bingo. The game supports up to 18 players. 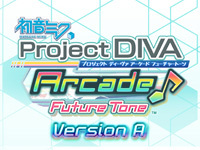 Since Thursday, Miku fans can play Hatsune Miku Project DIVA Arcade Future Tone Version A. This version brings some adjustment as usual but, as it is a major update, new features are also added. First, a new Quest mode based on cards collection. The player can obtain virtual cards by completing certain conditions while playing songs. Then, with the cards won, he can create his own wallpapers and download them on DIVA.NET. Finally, the EXTRA EXTREME difficulty mode is available for the songs present since the first Project DIVA Arcade. 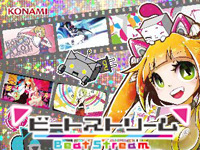 BeatStream, the lastest game in Konami's BEMANI series, was released yesterday. This is a rhythm game suitable to both beginners and players used to BEMANI games. There are several levels of difficulty for each song. The player uses a touchscreen to meet the different challenges available. For example, there is a circle in the center of the screen, objects move towards it and the player must touch them when they reach the circle. Music selection includes songs from Touhou Project, anime and Vocaloid as well as original Konami songs. 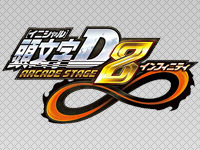 Initial D Arcade Stage 8 Infinity is on the starting line and starts its career today! The highly anticipated racing game from Sega has the same basics than the previous episode, but brings some interesting new features. First, "Legend of the Street" mode has been completely renewed with special challenges. They comes from famous scenes of the manga such as "avoid spilling the cup of water" or "cause Iketani to faint". The player now uses "D coins" to make special tuning to his car. He exchanges "D coins" with real money. When using an Initial D license, the player receives a daily free continue! New races and new characters arrive, old versions players have new challenges. The player can customize the display screen with earned titles, tachometer type and even use the "cup of water". Initial D Arcade Stage 7 AA X card data can be transfered to Initial D Arcade Stage 8 Infinity. A great event is also underway: Project D audition! Enthusiasts Initial D players can register for this event which apotheosis will take place at the Japan Gamer's Live on August, 31. 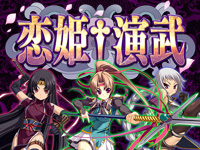 Koihime † Enbu will be out tomorrow. This follow-up to Shin Koihime † Musou from BaseSon is developed by Unknown Games and M2. The story still takes place in the Three Kingdoms universe and there are only female characters in the game. The gameplay based on assist is the same than in the previous game. There are now 13 fighters and 7 strategists coming from 4 factions (Shoku, Gi, Go and TÅ) against 10 and 6 in Shin Koihime † Musou. New fighting characters are Gakushin Bunken, BachÅ MÅki and ShÅ«tai YÅhei. The new strategist is named ChinkyÅ« KÅdai. 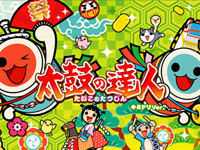 Taiko no Tatsujin Kimidori Version will start operation in Japan tomorrow. This is the 5th upgrade of Taiko no Tatsujin released in 2011. The color theme of this version is green. As usual all Banapassport features from previous version are still available (Reward Shop, titles, outfits,...). New folders for Banapassport can be created to sort songs. Some folders are permanent (Favorite,User Tournament,...) and some other are created for special events (events, special collaboration). A dozen of new songs were added. 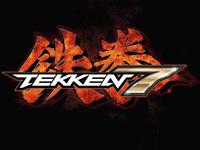 Namco confirms that Tekken 7 is under development. The game will use the Unreal Engine and will be released in arcades. A teaser is available here (Japanese) and here (English). There will be more info at Comic-con in San Diego on July 25. Hero Bank Arcade starts operation today. 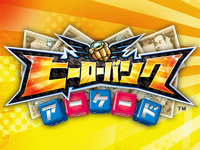 Hero Bank is a cross-media license for children from Sega. There are a 3DS game released in March, an animated series broadcast since April and now an arcade game. The arcade game is an adaptation of the 3DS version. Hero Bank has an original concept: it is a money themed Action-RPG. The player is Kaito Gosho, a young boy having some problems with debts. He must participate in a tournament of virtual fights to repay his debts. But in the game, the money is also used to perform actions during combat. This is a 3vs3 card game, the goal is to make the opposing team members lose all their HP. The player can play alone or with friends. 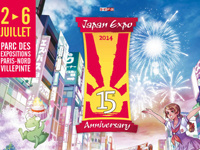 2014 is the year of the fifteenth anniversary of the Japan Expo. Needing no introduction, this huge manga convention annually manages to invite prestigious guests. The show will open its doors at the Parc des Expositions de Paris-Nord Villepinte tomorrow and ends on Sunday, July 6. The guest list is too long to be enumerated here but it includes Daigo Ikeno, the artistic director of Street Fighter IV (formerly illustrator on Street Fighter III 3rd Strike and Capcom Vs. SNK 2) and Kenji Kanno, the creator of Crazy Taxi and Top Skater. Kenji Kanno talks about the genesis of the Crazy Taxi series in conferences to be held at 13:30 on Thursday, July 3 and Friday, July 4. Each presentation will be followed by questions/answers sessions. An opportunity for visitors to ask him about a new arcade episode. Famous mangaka will also be present such as Izumi Matsumoto (Kimagure Orange Road), Kachou Hashimoto (Cagaster), Kamui Fujiwara (Dragon Quest - Emblem of Roto) and Ippei Kuri (co-founder of Tatsunoko Production). Music will be performed by, among others, Yoshiki of X Japan, Berryz Kobo x °C-ute, Gacharic Spin and Wagakkiband. Obviously, Japan means arcade games and these will be worthily represented on the stand of DDR Belgium and by the Coin-op Legacy association (invited on MO5's booth) that will offer 4 arcade rare in Europe. An Ultra Street Fighter IV event is scheduled on Saturday, July 5 at 14:30 on the video game stage with Kayane, Marcus and Daigo Ikeno. Visit the official website for all guests and activities.